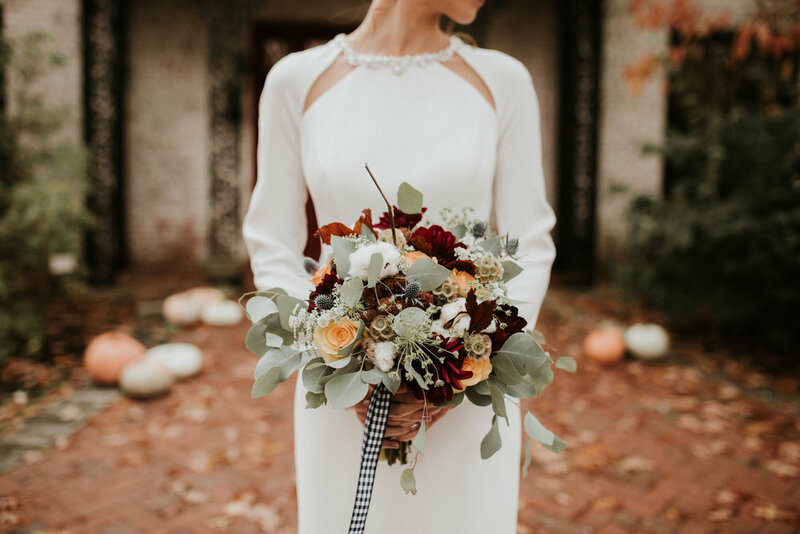 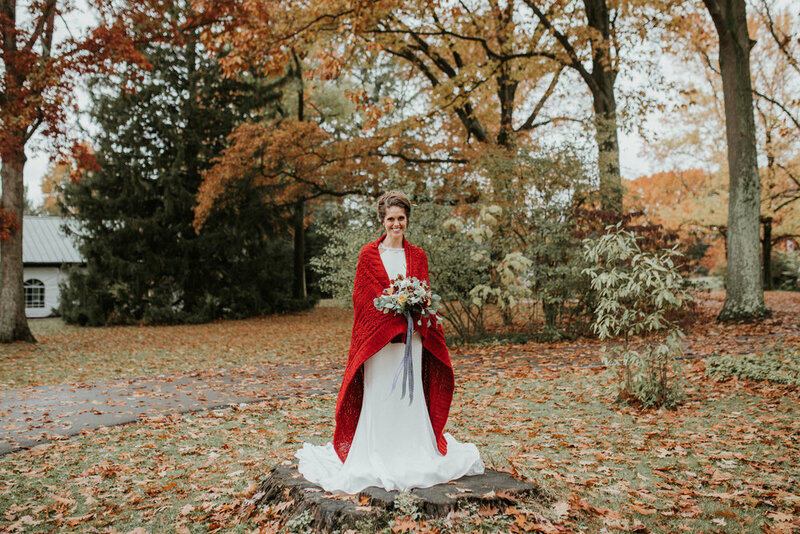 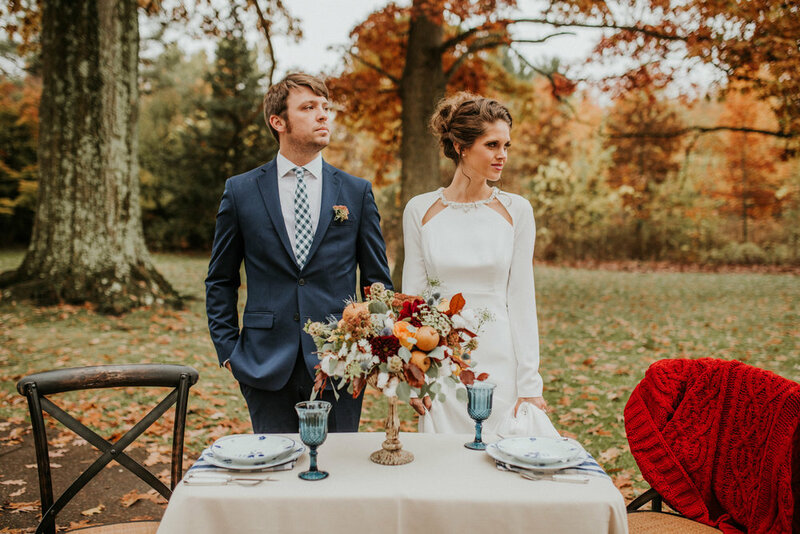 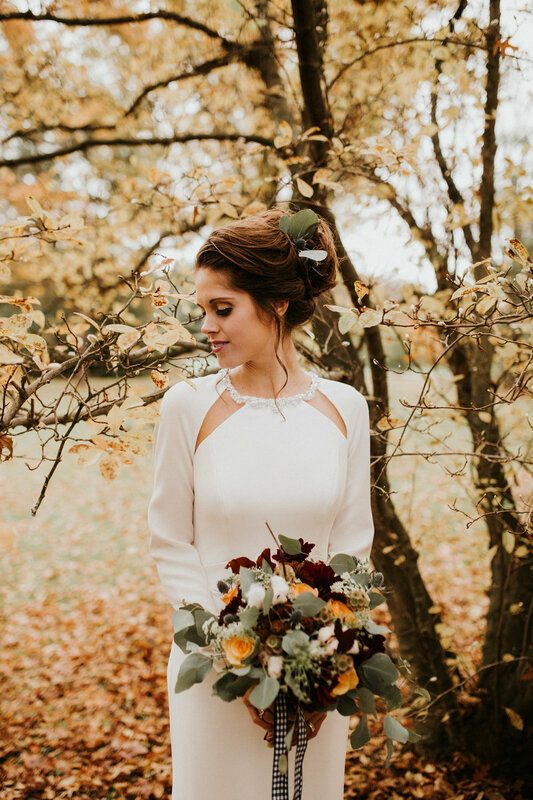 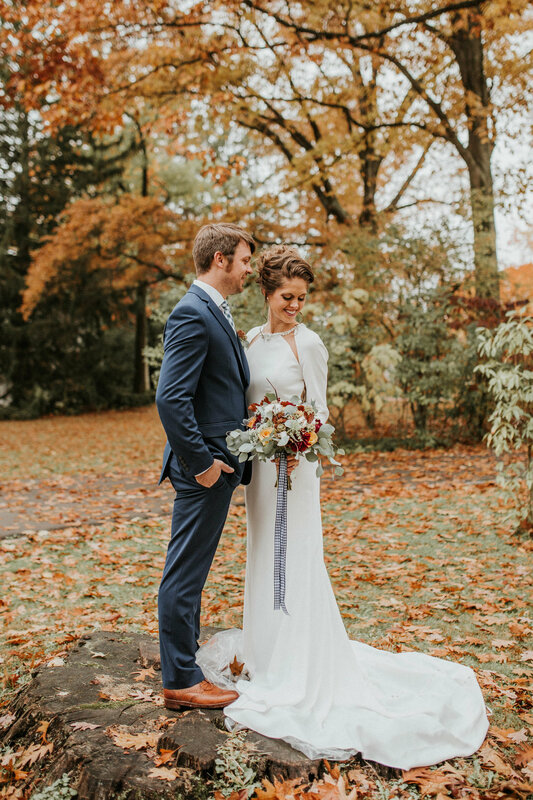 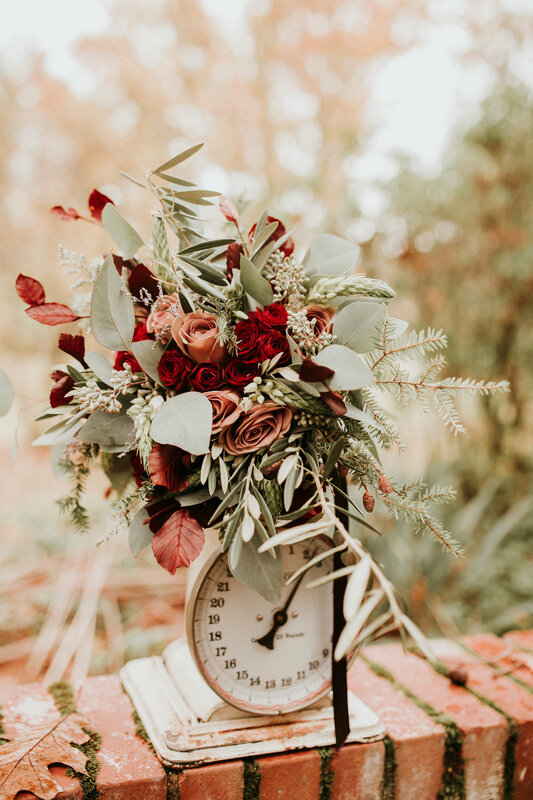 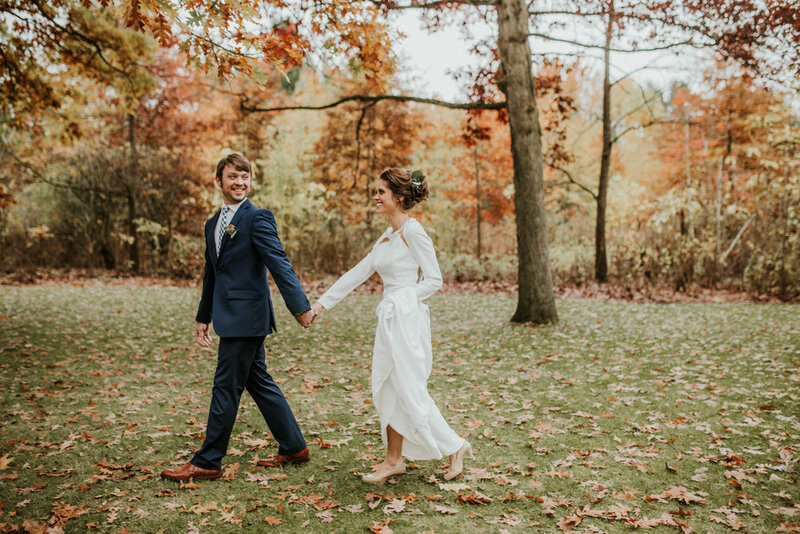 Autumn + Winter Styled Shoots With Your Big Day + Julie James Design! 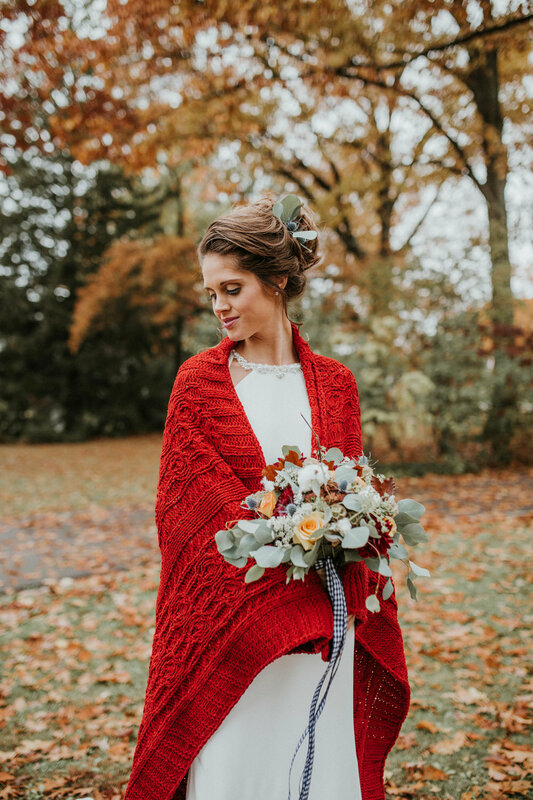 Man oh man, do I have some beautiful photos for you in this post! 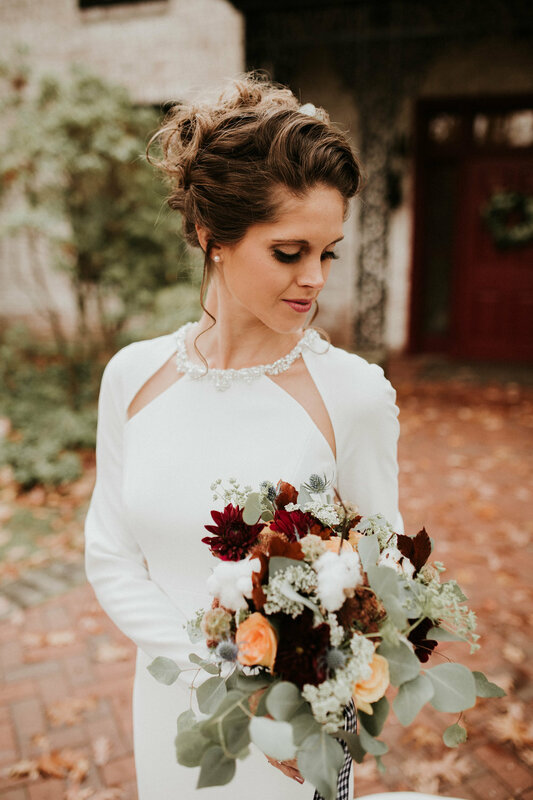 Last year I did an amazing spring + summer styled shoot along with these ladies and it was so much fun and so, so beautiful. 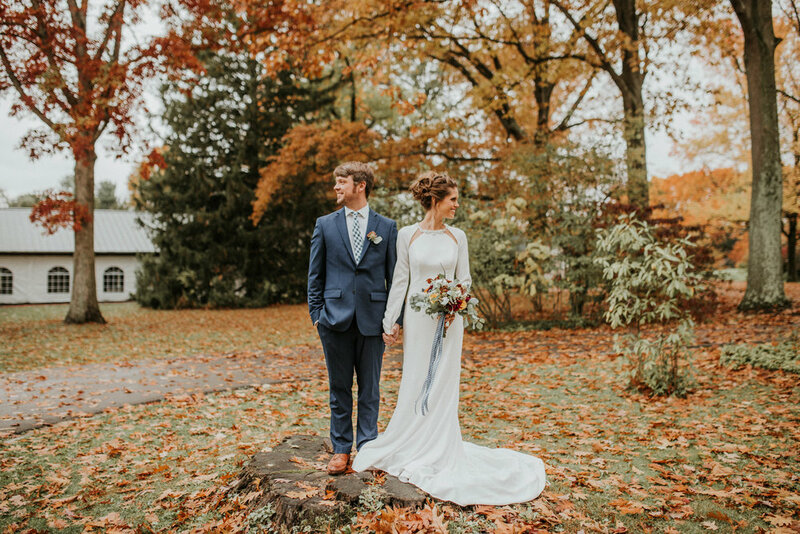 We decided we needed to go ahead and do a fall + winder series as well to complete all four seasons! 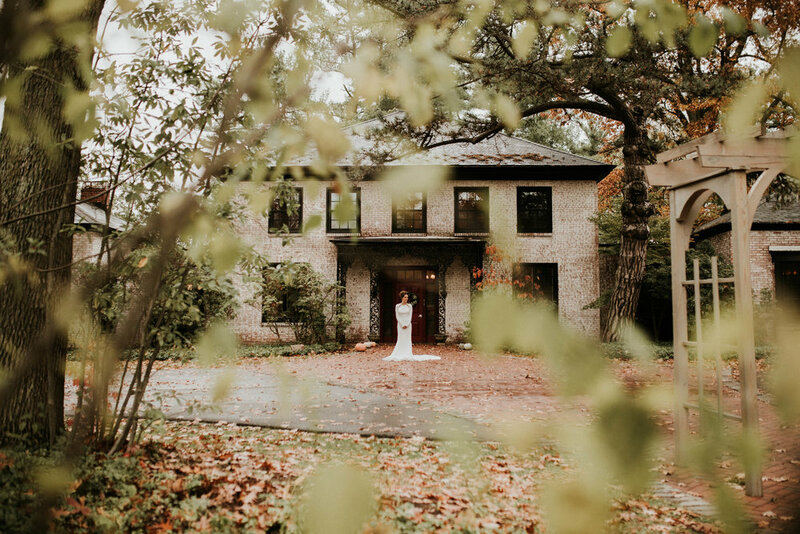 I'm really excited to share these photos with you, but I can't do so without crediting the amazing vendors that helped make it possible. 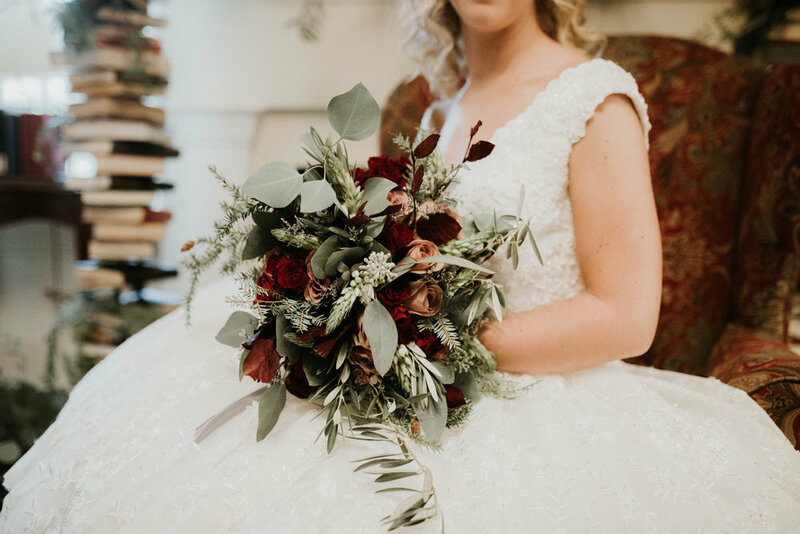 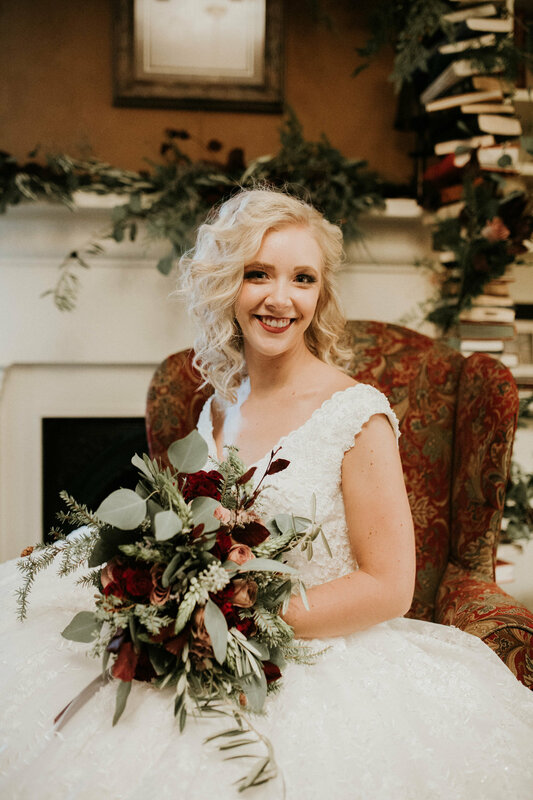 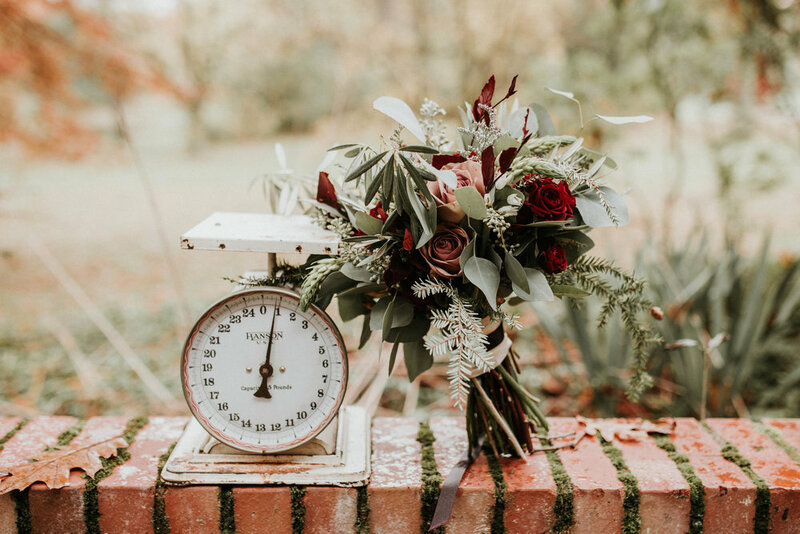 Nicole of Your Big Day wedding planning services and Julie of Julie James Floral Design were the real masterminds of this shoot! 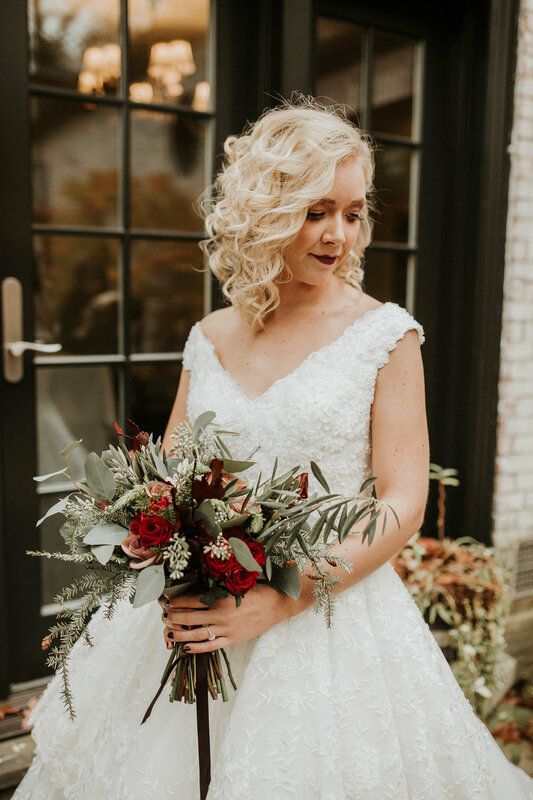 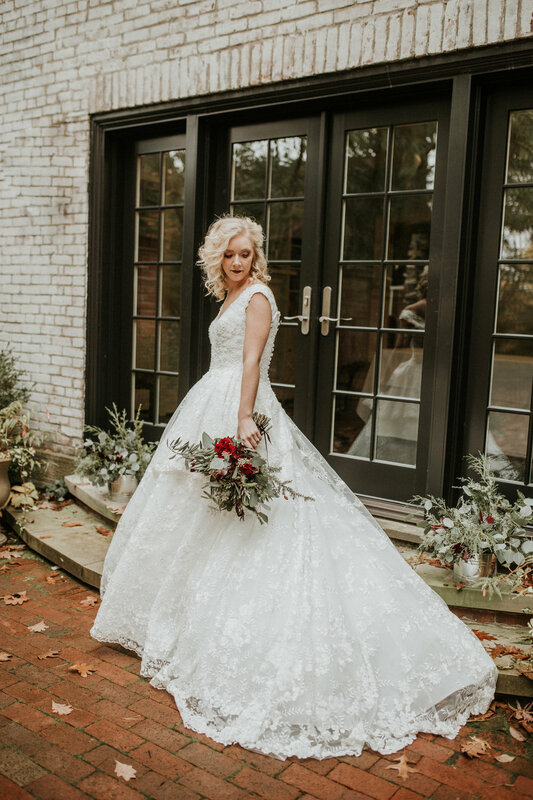 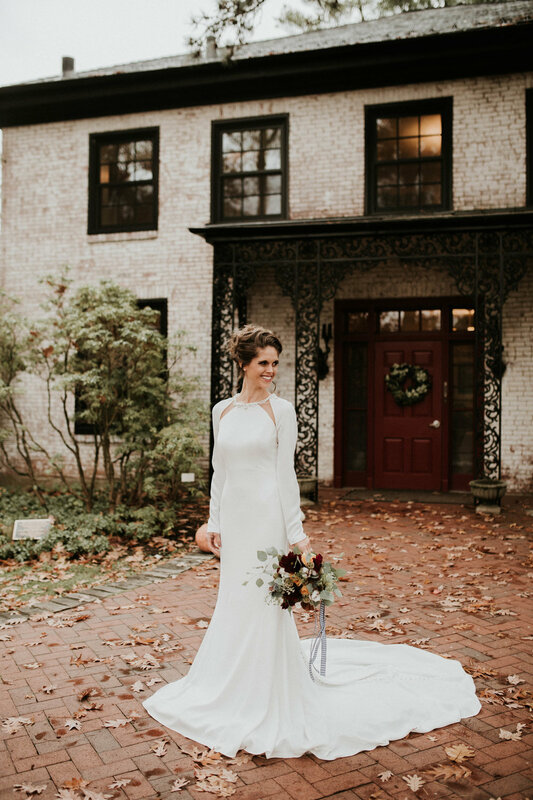 The amazing wedding gowns were generously provided by One Enchanted Evening, and hair and makeup was done by Heather of Vintage Salon + Spa on our amazing models, Becka, Brianna +Tyler. 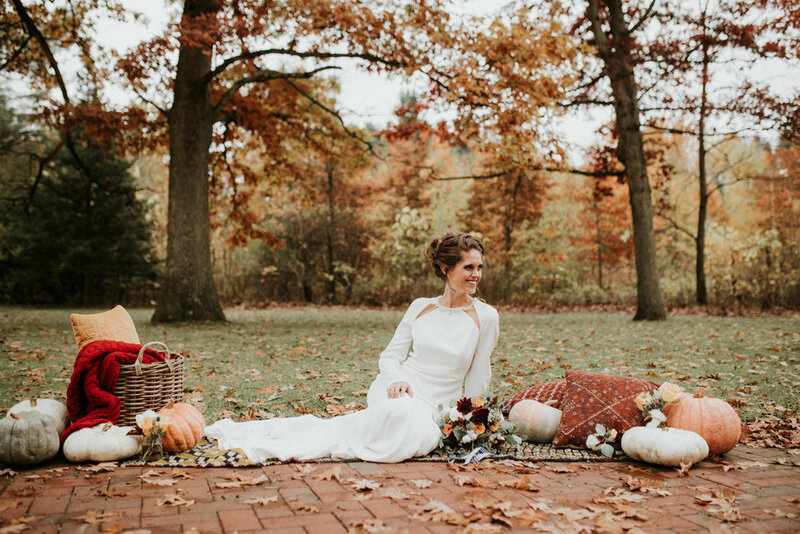 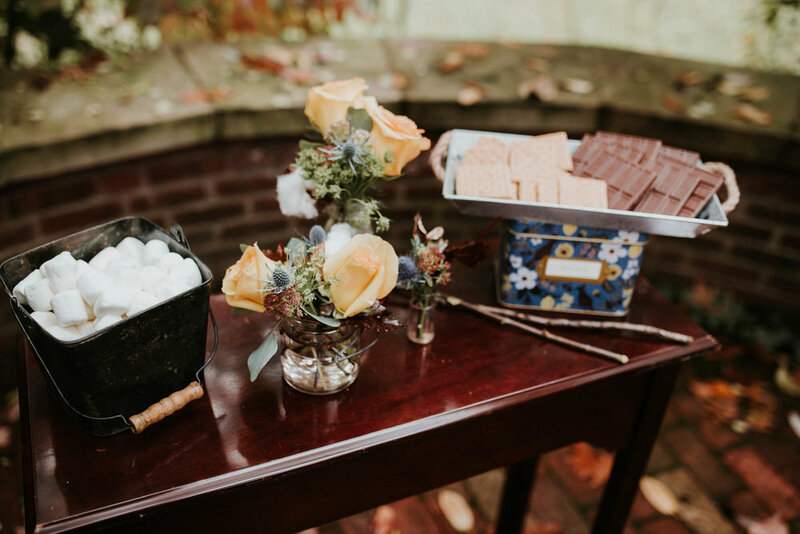 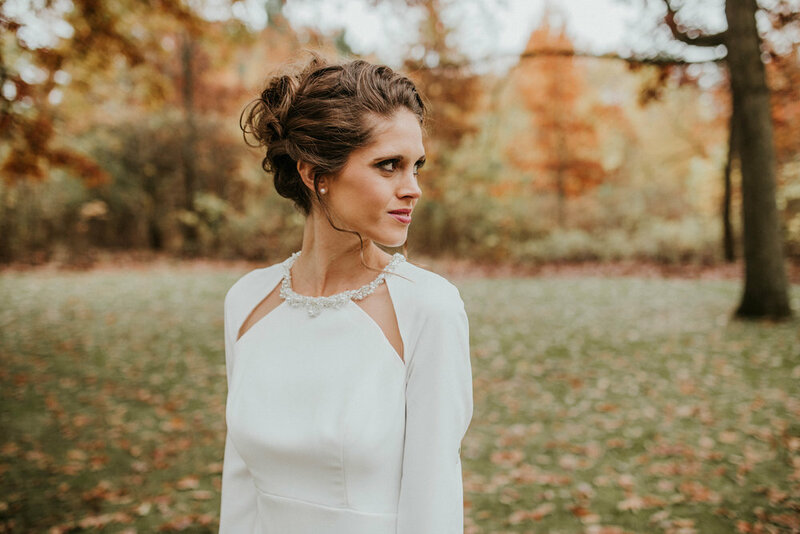 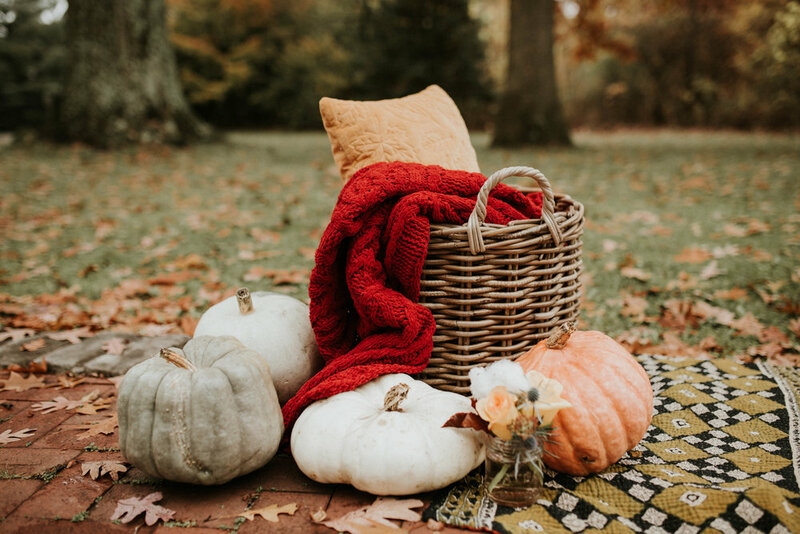 The whole shoot went down at the amazing Succop Nature Park in Butler, PA.
To tell you a little more about the styling behind the shoot will be Julie, our floral designer and one of the stylists for this shoot. 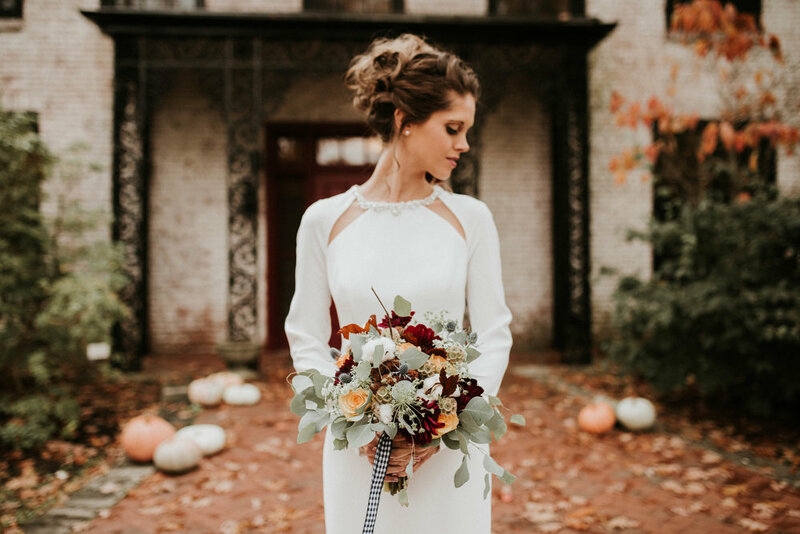 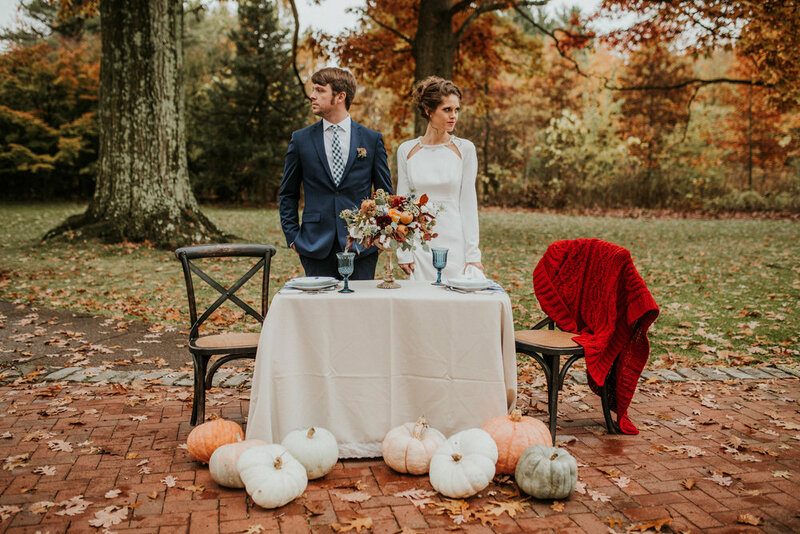 "My vision for our late fall inspired shoot was mostly inspired by what I didn't want to do. 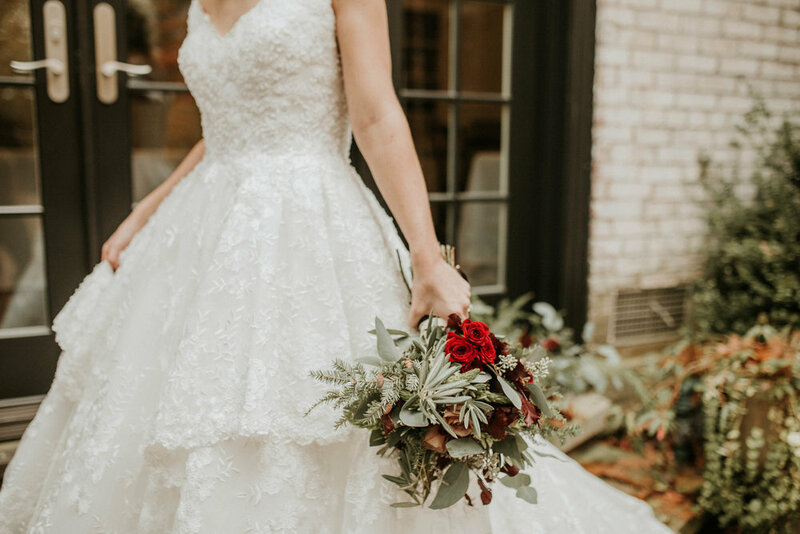 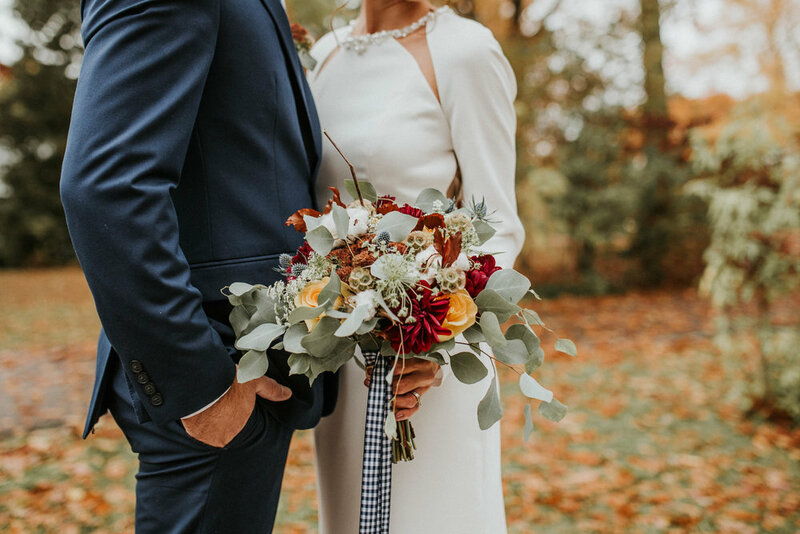 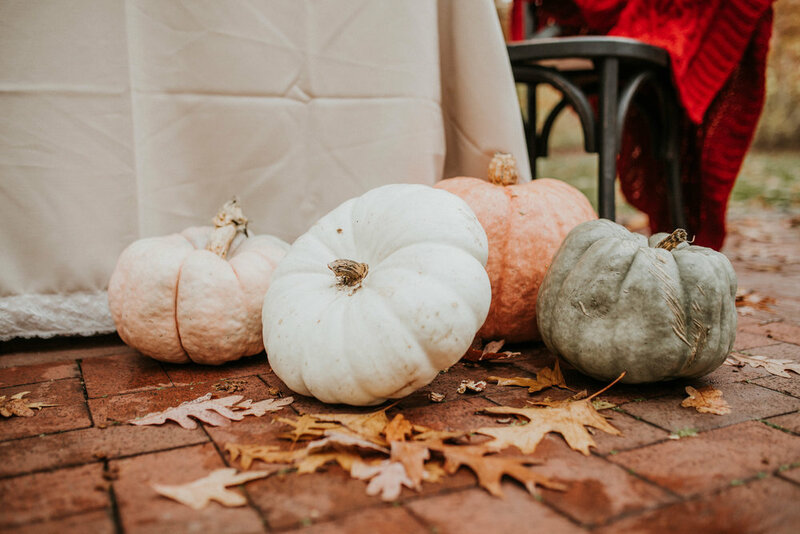 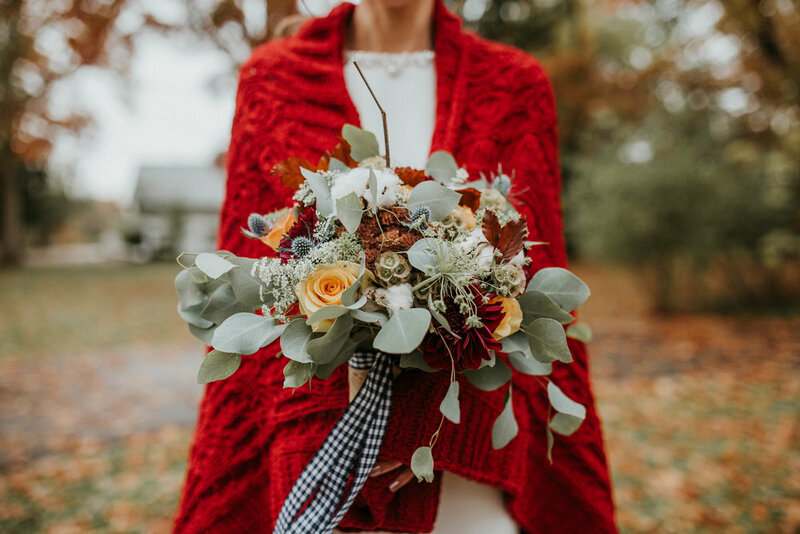 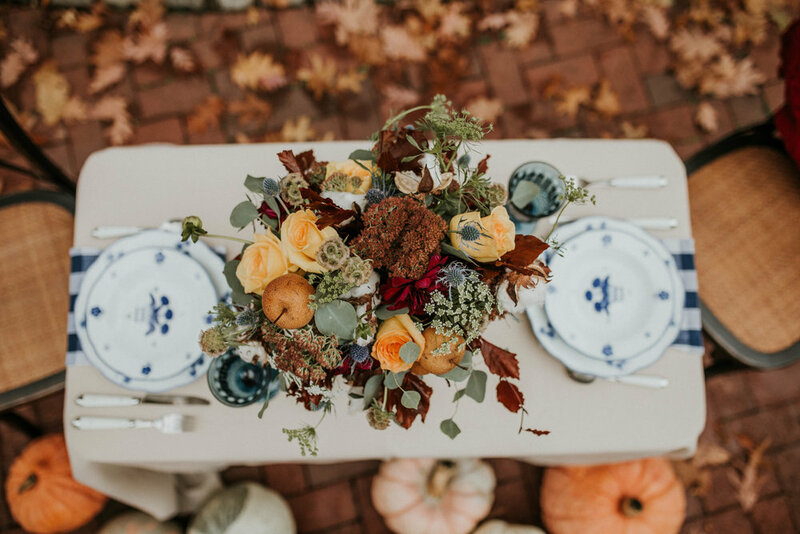 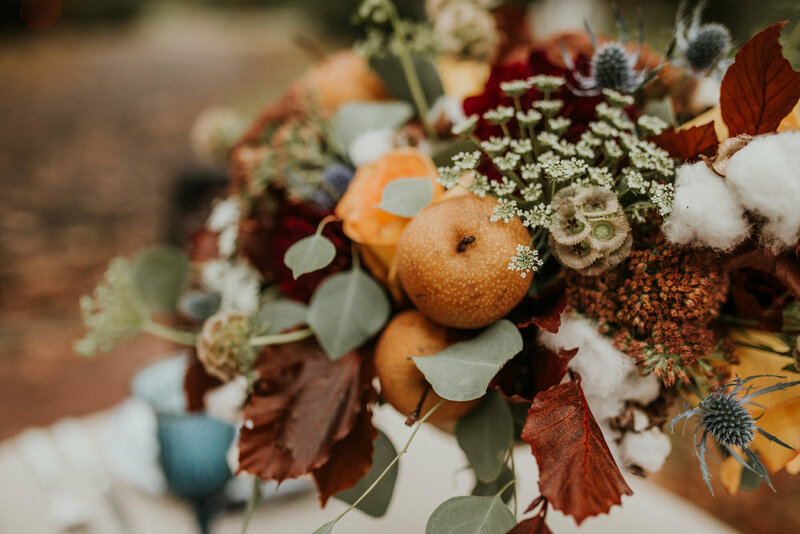 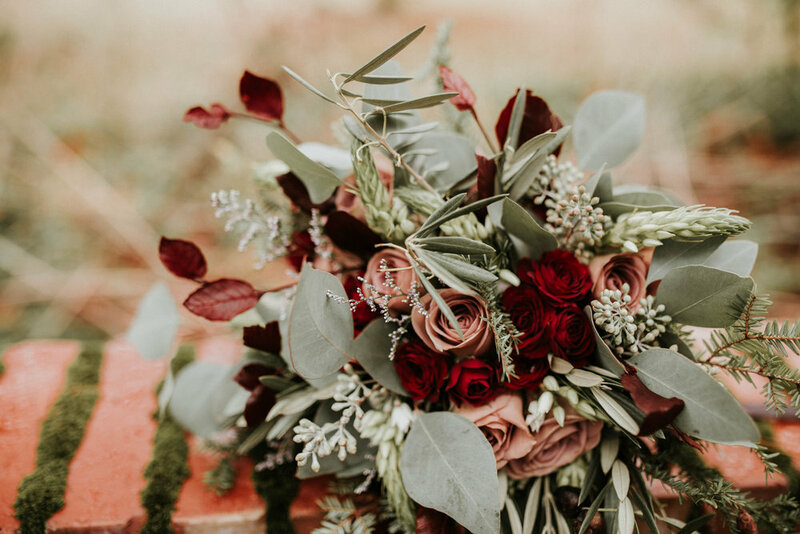 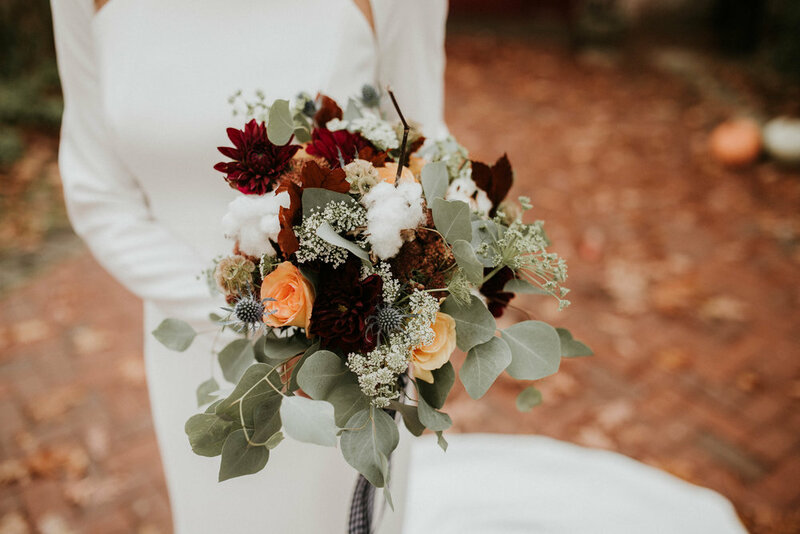 Traditionally used fall wedding colors a few years ago were oranges, yellows and purples, then they transitioned to almost exclusively a blush and burgundy color palette. 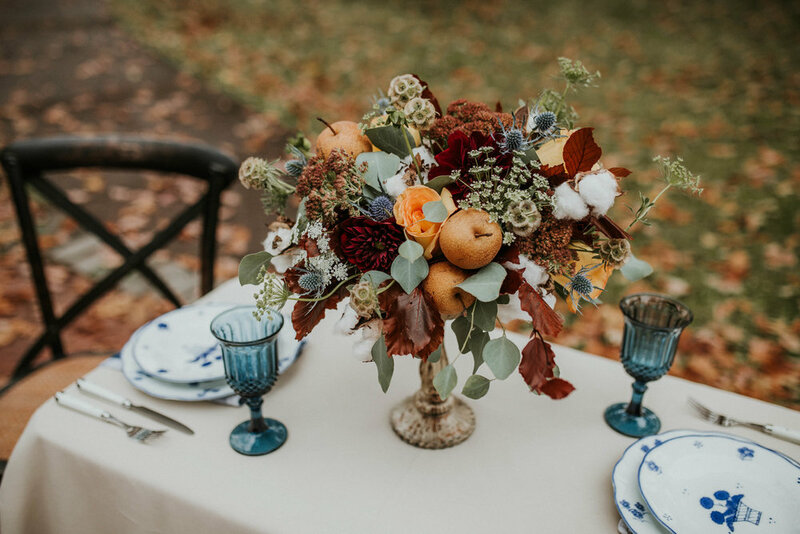 While those are all great combinations, I wanted to infuse more browns, blues and burgundies to give a sophisticated late fall look." 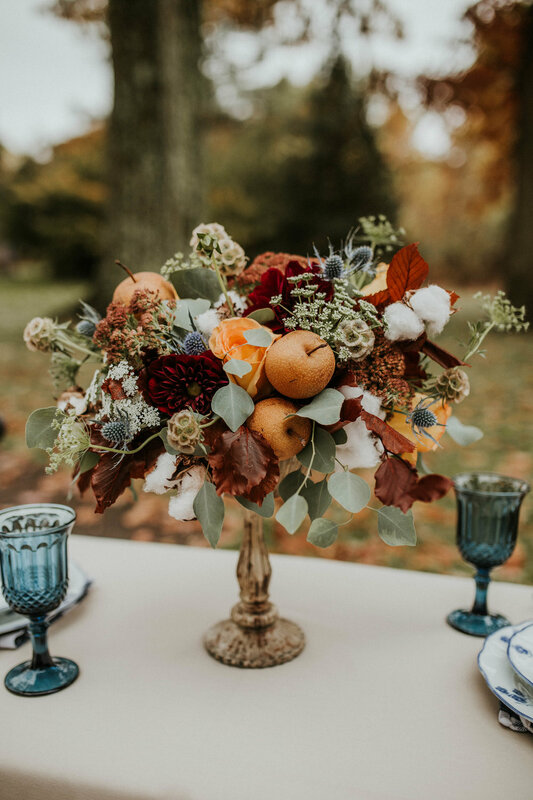 "Bringing in the Asian pears, the cotton and copper beach leaves were the perfect choices to enhance the design." 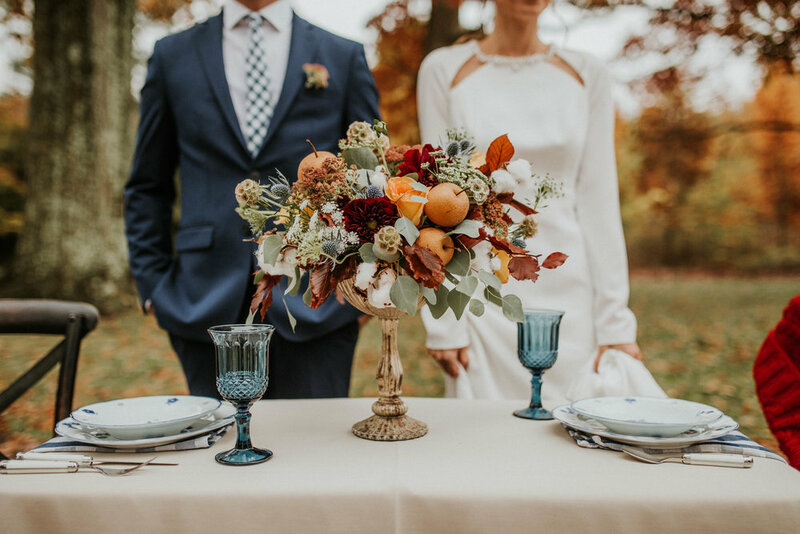 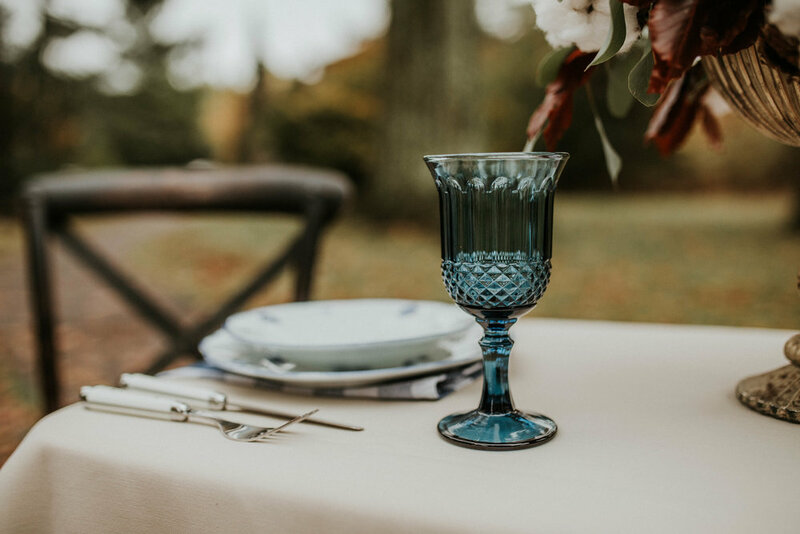 "I added the blue thistle to tie together the grooms blue suit and the glassware. 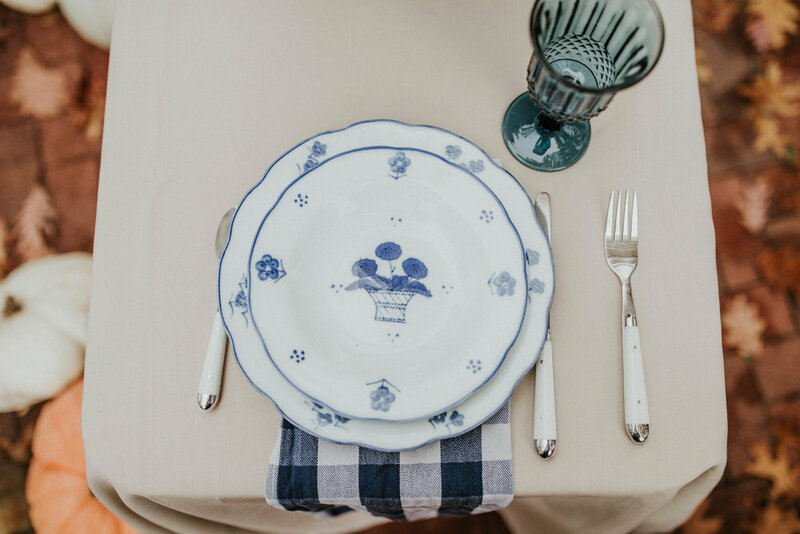 Blue and white gingham napkins and the grooms tie were the last pieces of the puzzle. 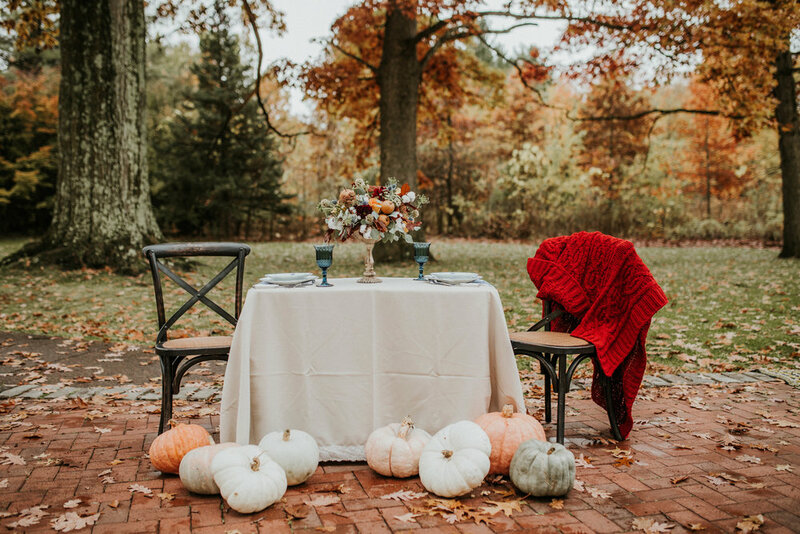 This is easily my favorite tabletop, and the heirloom pumpkins made the perfect sophisticated late fall addition." 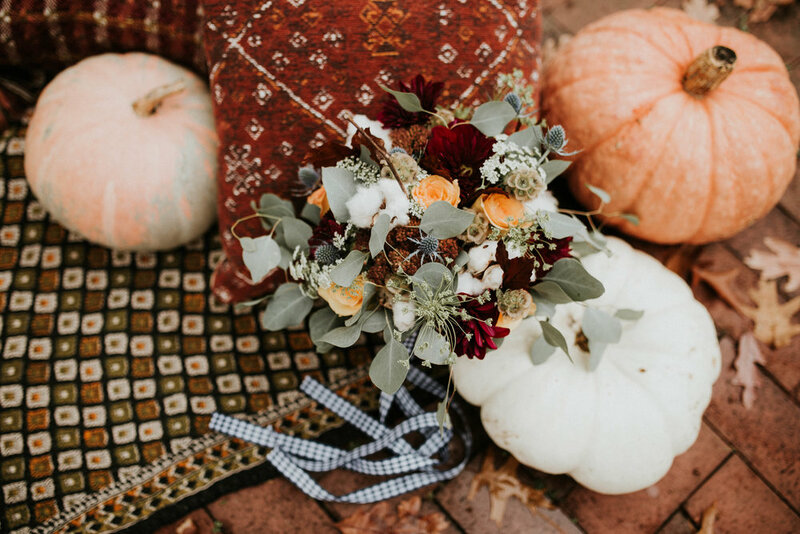 "Toning down fall colors, bringing in the right details, and blending the perfect amount of mixed-and-matched, and matchy-matchy is how to get the perfect balance!" 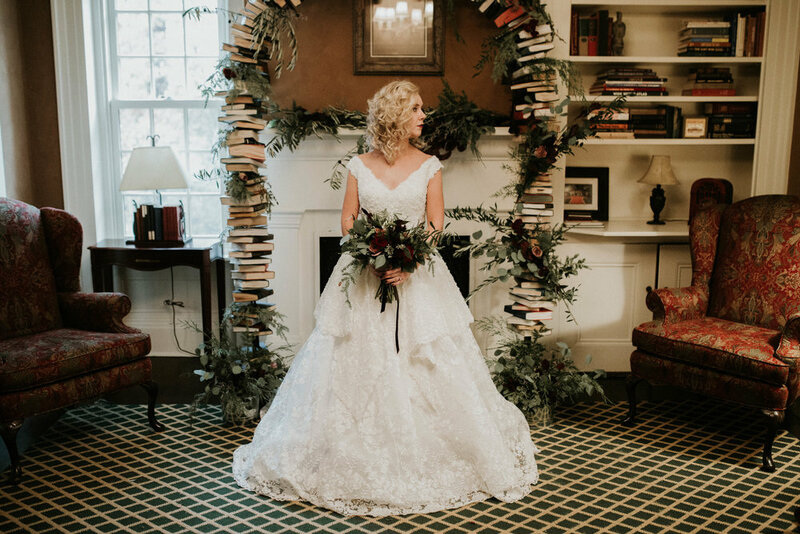 "For this winter inspired look, it's plain to see that it was the book arch that drove the design. 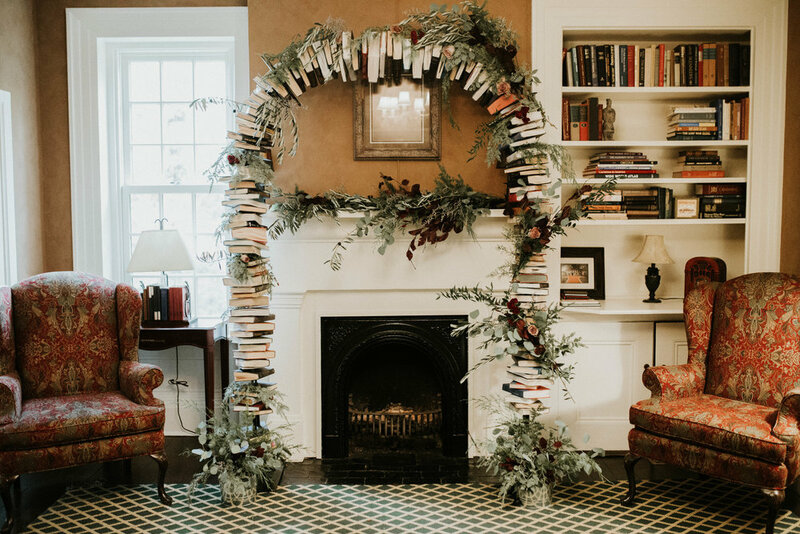 I bought this arch earlier this year knowing it would be the perfect focal point for a library themed shoot." 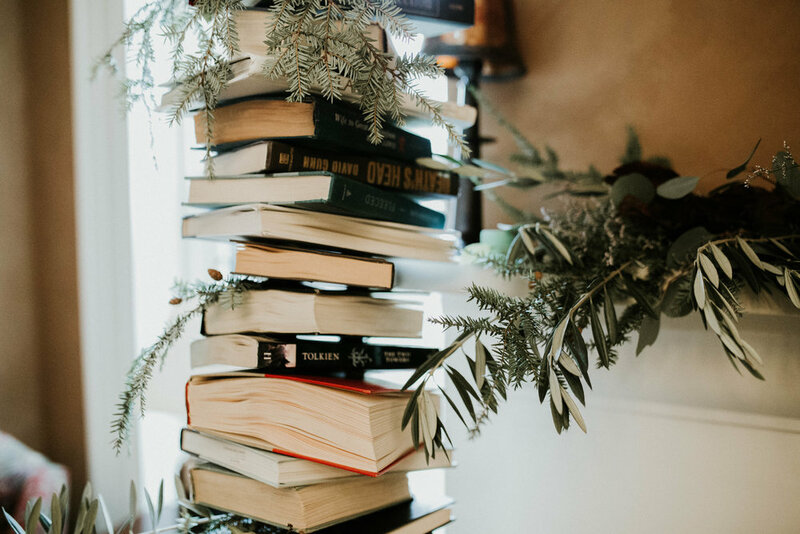 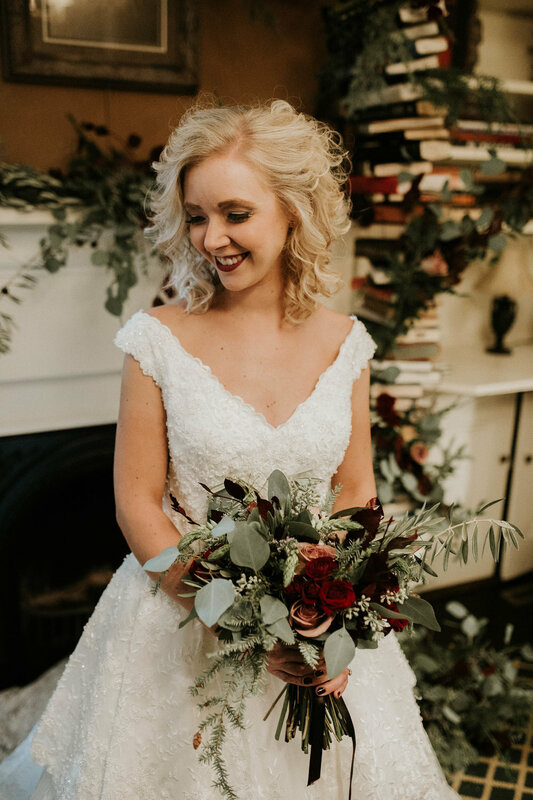 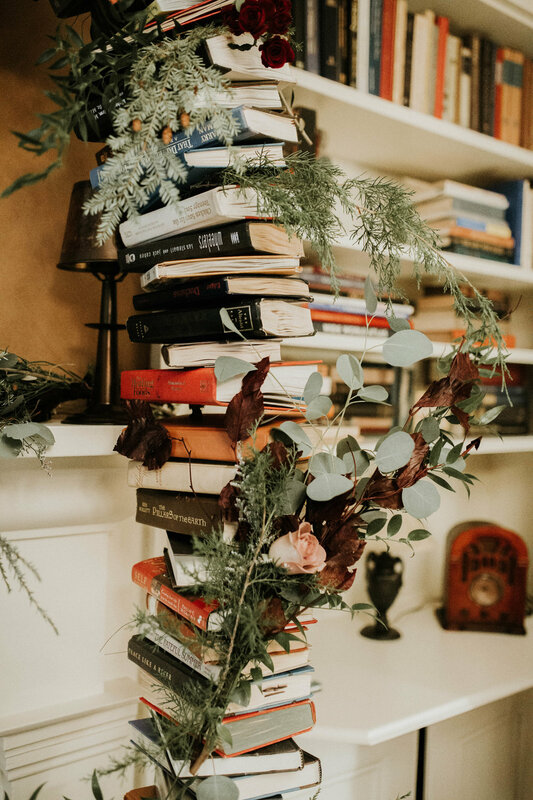 "The arch does all the talking in the photos- a simple cozy, indoor, sophisticated, library inspired wedding with winter, (not necessarily Christmas), greenery and flowers. 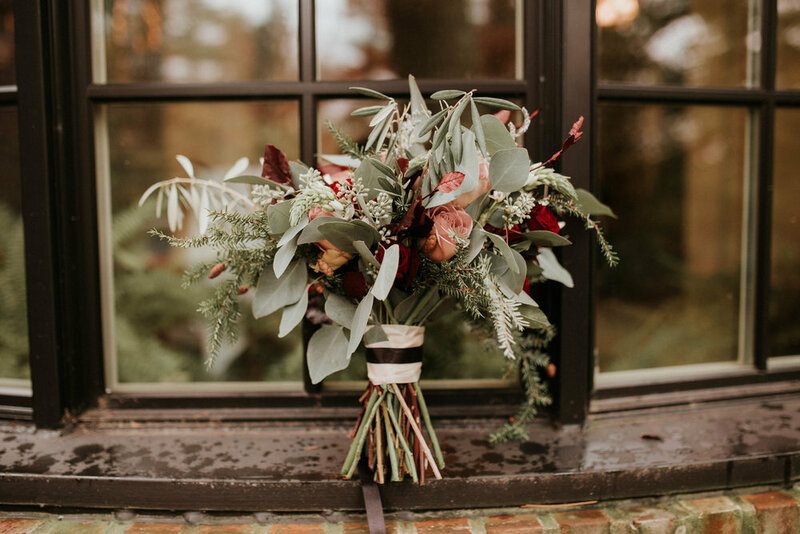 Evergreens, shades of deep purples and burgundies create a new and moody look for a winter wedding." 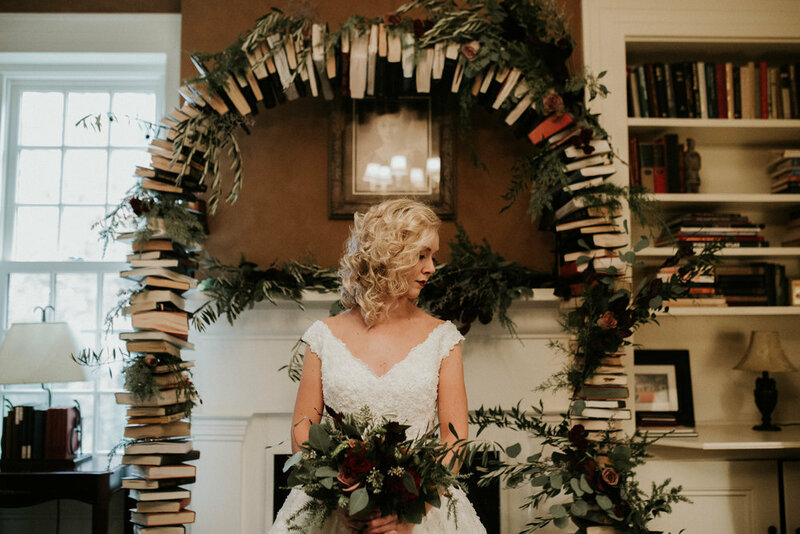 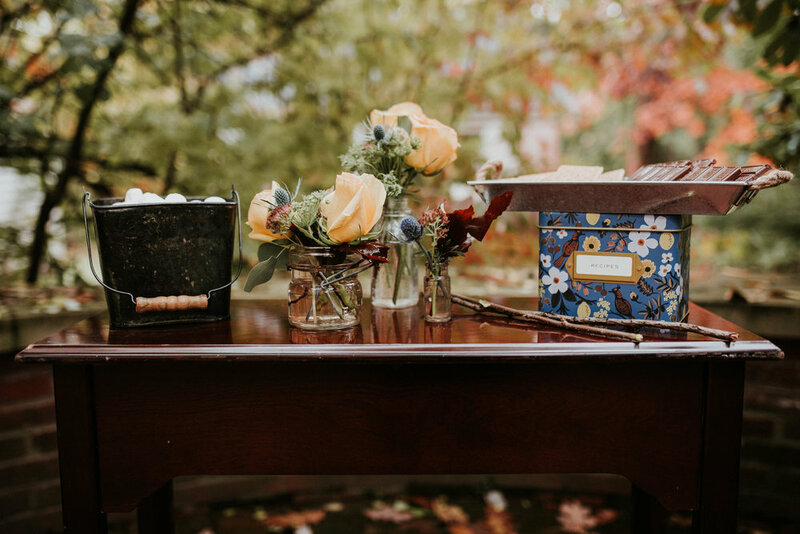 "The urns made and placed at the base of the book arch represent pieces that can pull double duty and be moved from a ceremony site to a reception site." 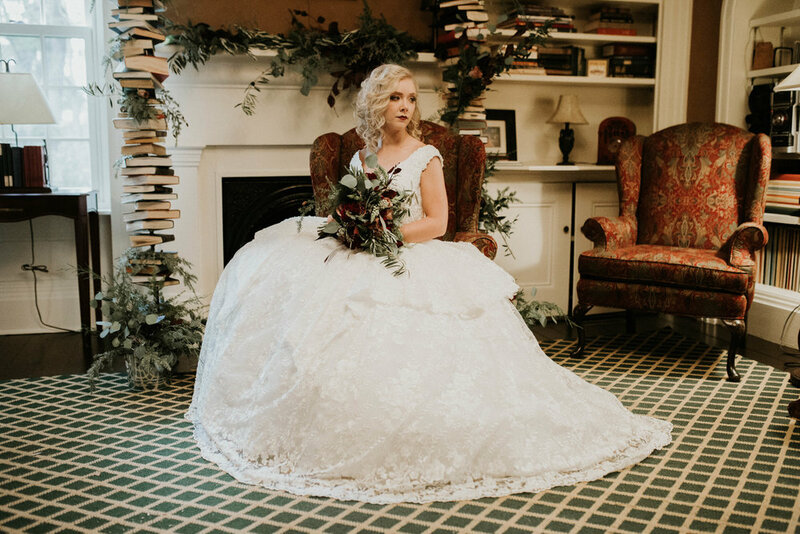 "The ballgown was an easy choice for winter as they are usually too hot for other months." 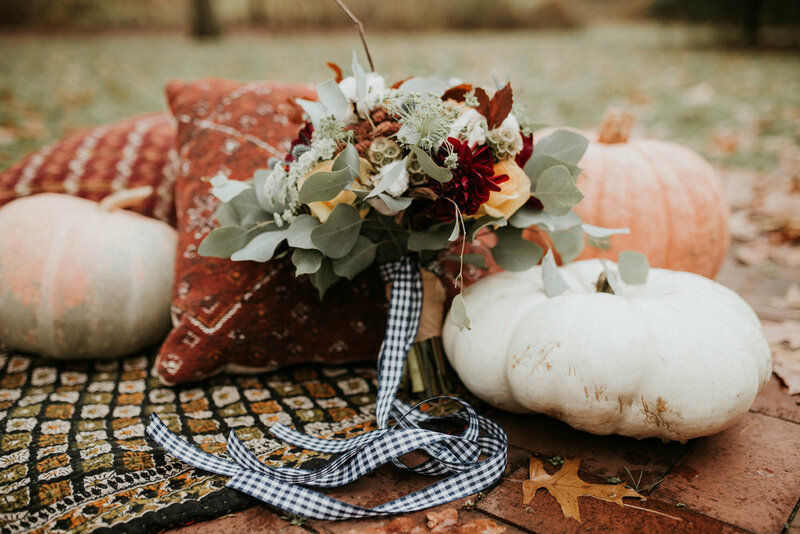 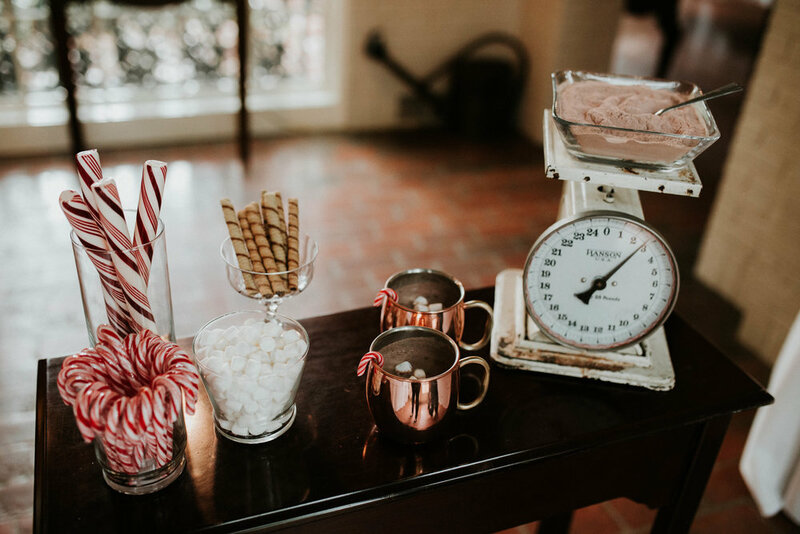 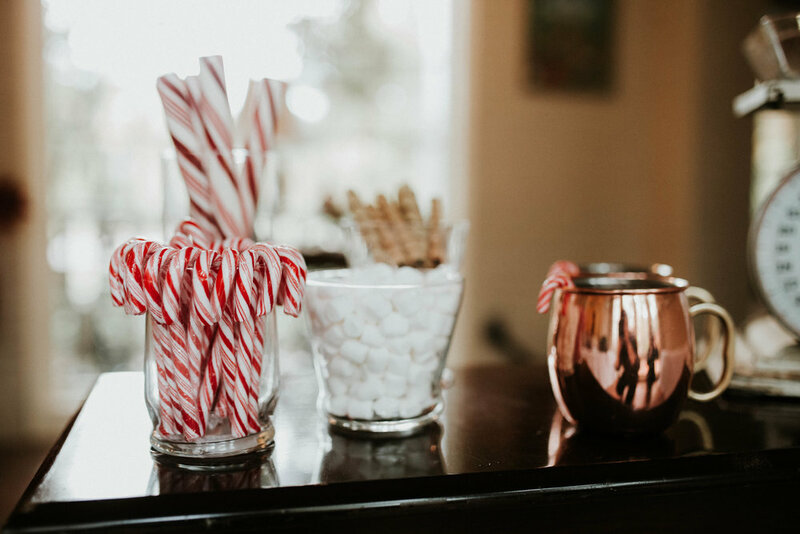 "My hope with this shoot is that potential brides will note that you can have a differently themed wedding during any time of the year, and do it in a way that is new and fun without being silly or unoriginal."